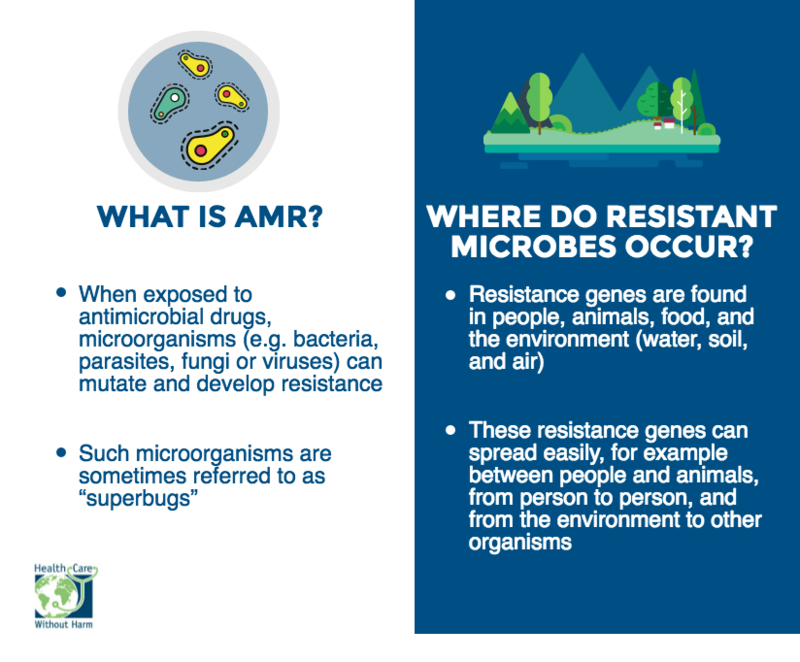 Day 1 - What is AMR? 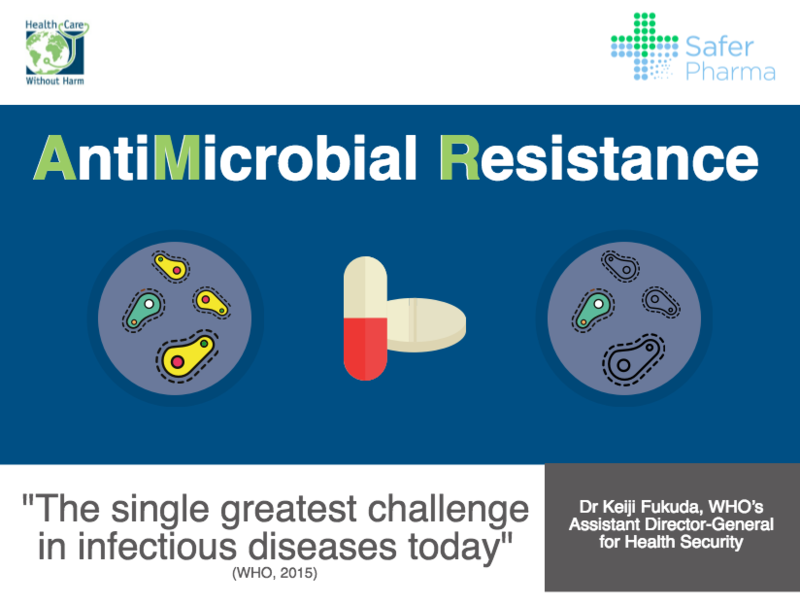 The week began with an introduction to antimicrobial resistance (AMR) – how it occurs and what the extent of the problem is. 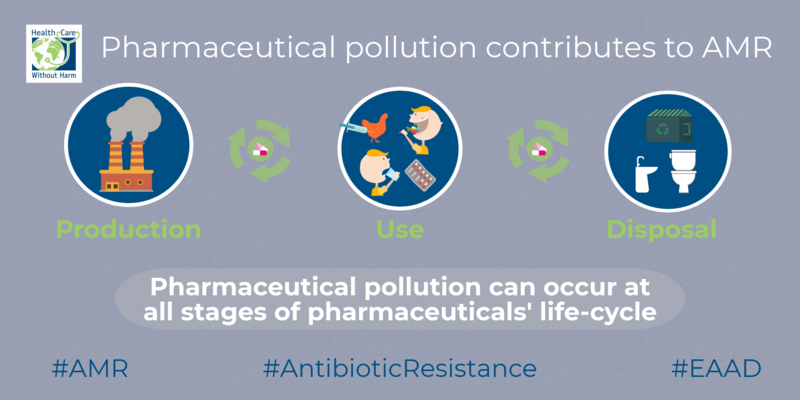 Whilst recognising that antibiotics are an important part of modern medicine, the environmental and health risks associated with the over-prescription of antibiotics, pollution from pharmaceutical production, and the improper disposal of unused antibiotics cannot be ignored. 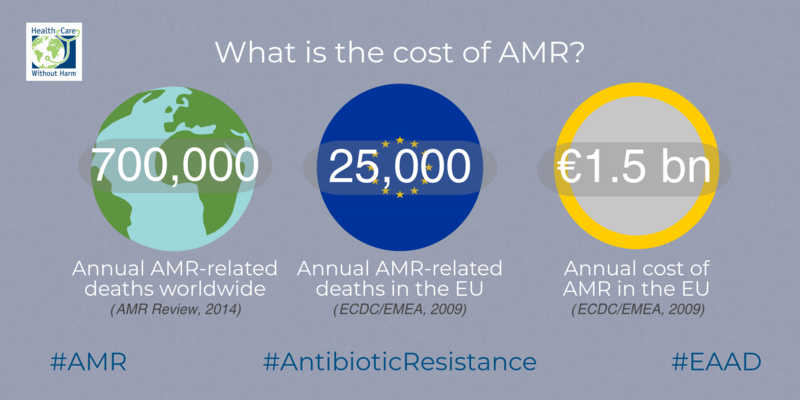 At HCWH Europe, we work to raise awareness about the health and environmental consequences of AMR, and promote ways to constrain this growing problem. Learn more from HCWH Europe’s webinar The (un)recognised pathways of AMR: Air pollution and food and policy overview of both EU and U.S. legislation on antibiotics in food production Food pathways to antimicrobial resistance – A call for international action. In the pledge, Pharmaceuticals Policy Officer Adela Maghear outlines how HCWH Europe works with different stakeholders – health professionals, patients, and policy makers – to ensure that there is an awareness about how pharmaceuticals in the environment can lead to AMR, and an appropriate response in behaviour change and policy. The pledge also calls for the need to take a ‘One Health’, collaborative approach to keeping antibiotics working. 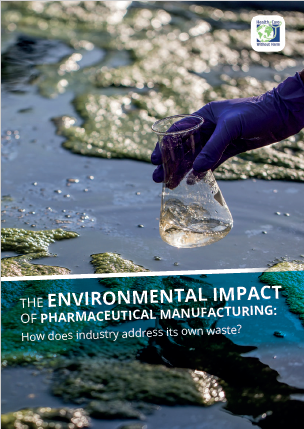 In the right place, pharmaceuticals save lives and prevent disease, but pharmaceuticals in the environment also represent a global pollution problem - over 631 different pharmaceutical agents or their metabolites have been detected in 71 countries on all continents. 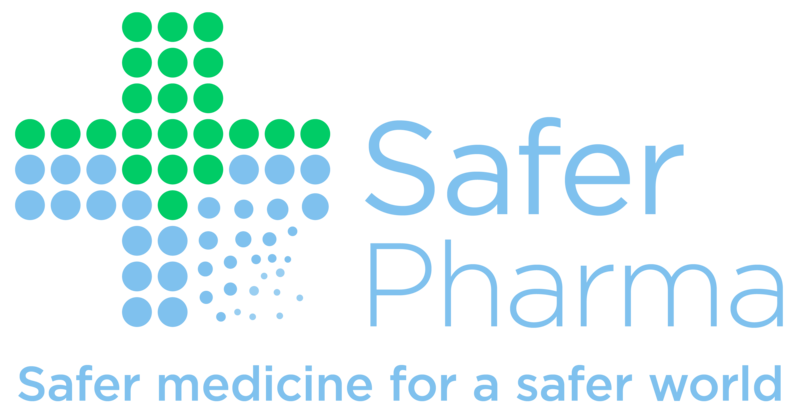 Yesterday, we shared our Safer Pharma campaign video to further explain the problem of pharmaceuticals in the environment and sources of pharmaceutical pollution. 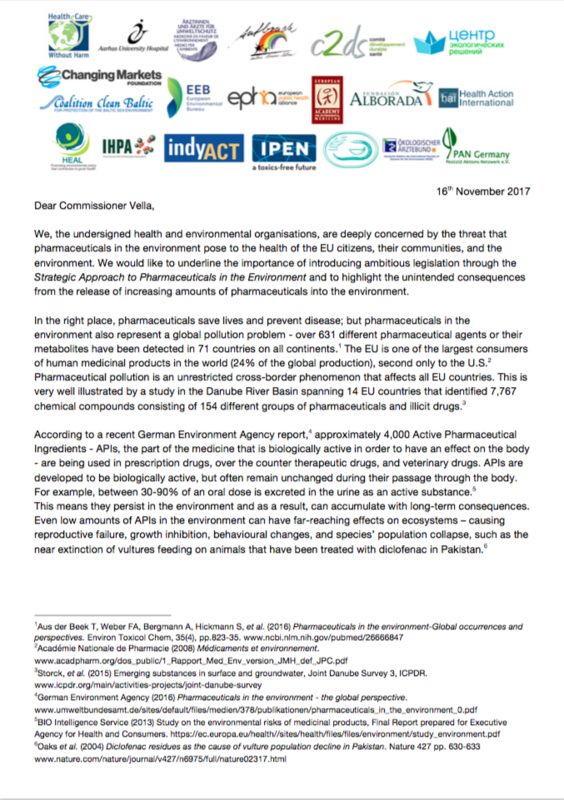 On the eve of European Antibiotic Awareness Day, a group of twenty organisations – led by Health Care Without Harm (HCWH) Europe –sent a declaration to European Commissioner for Environment, Maritime Affairs and Fisheries, Karmenu Vella, expressing their deep concern about the threat posed by pharmaceuticals in the environment to European citizens, their communities, and the environment. 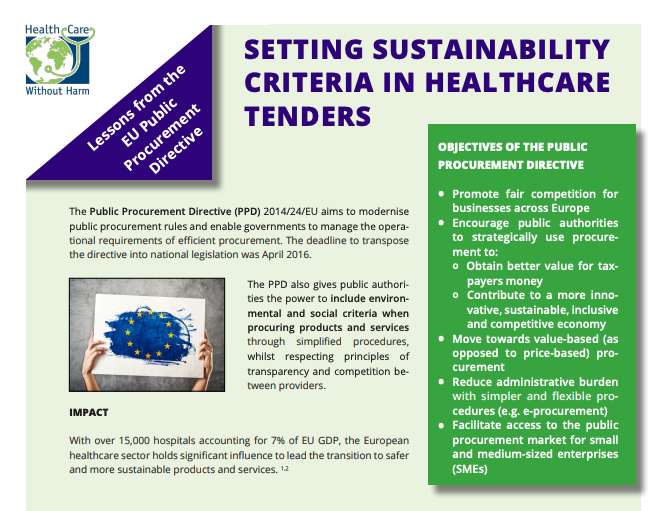 The consortium of organisations, which is made up of hospitals, health organisations, professional health and student associations, and health and environment NGOs, wrote to the Commissioner to highlight the importance of introducing ambitious legislation in the upcoming Strategic Approach to Pharmaceuticals in the Environment (due to be released in early 2018). 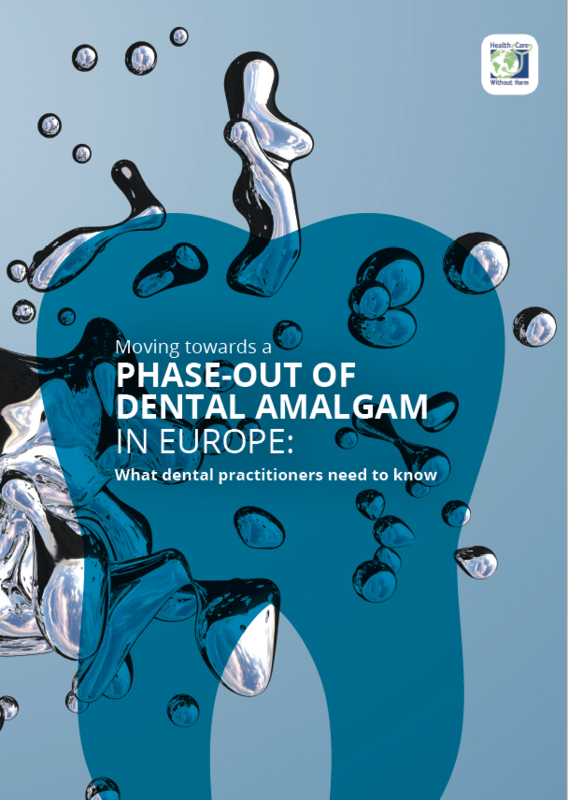 The Declaration also highlights the unintended consequences of the release of increasing amounts of pharmaceuticals into the environment on both human and environmental health.